Find clinical training on SBIRT, Buprenorphine, Alcohol, and Obesity — created especially for health professional educators and students. 4 Hours CME/CE on Screening, Brief Interventions, and Referral to Treatment. CME for physicians; medical student modules, & interactive cases. 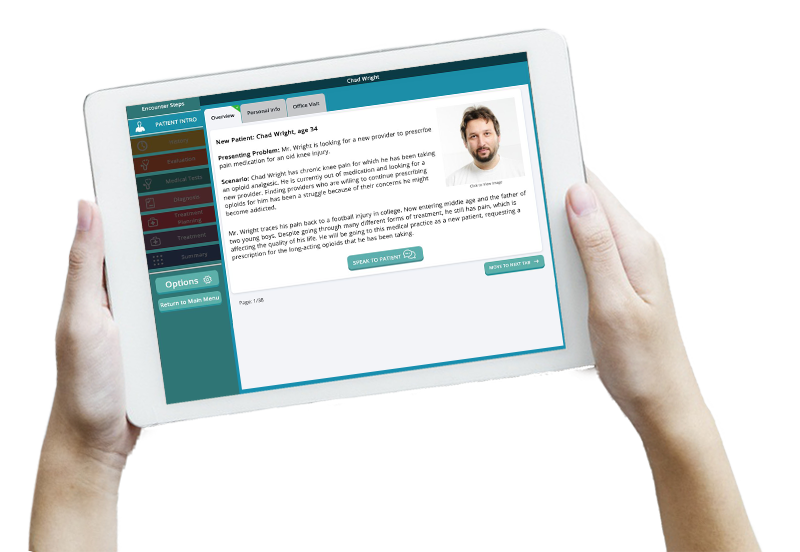 Experience the steps of seeing a patient by interacting with the patient health record, making clinical choices, and receiving feedback. The first app to be released in the Clinical Encounters | Platform suite of applications.